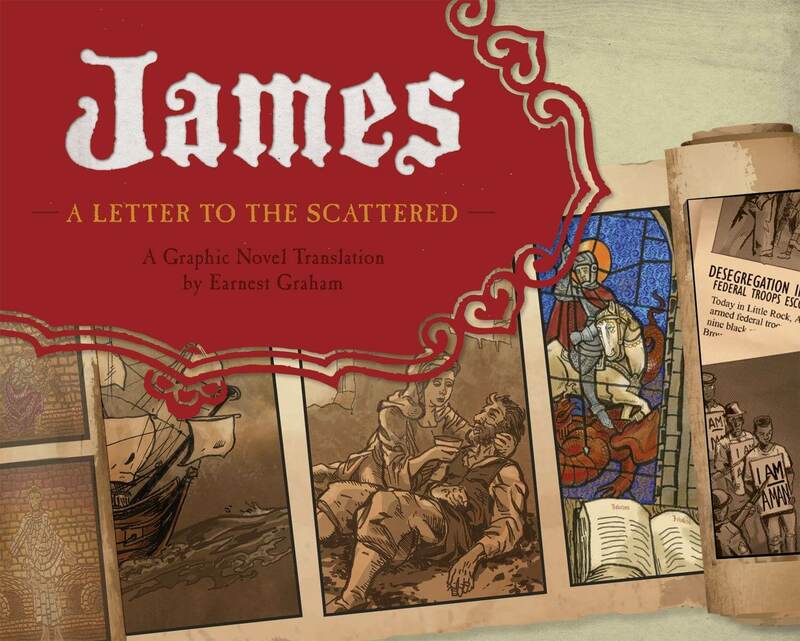 This graphic novel depicts the ancient wisdom of the Epistle of James for a new generation. For two thousand years, a single ancient letter has inspired deeds of world-changing bravery and has kindled compassion of millions of lives. In James: A Letter to the Scattered, Earnest Graham’s dramatic illustrations follow women and men around the globe and through time. Follow hunted Christians into Roman catacombs, accompany errands of mercy in modern hospital corridors, see courage and kindness amidst the carnage of the Thirty Years’ War, witness the fight for justice in 19th-century Mexico, and march beside protestors in 1960s Alabama. A Letter to the Scattered, the first in a series of graphic novels from Olive Branch Books, brings the ancient wisdom of the Epistle of James to a new audience.